Twelve. Twelve days. That’s it. The Grizzlies’ 2013 season kicks off in 12 days on April 4th for Opening Day. Tim Lincecum, who wore jersey number 12 in his brief Grizzlies career in 2007, helps us count down to the big day. For Fresno, four of Lincecum’s five Grizzlies starts were at Chukchansi Park, so the opportunity for everyone in the Central San Joaquin Valley to see the two-time Cy Young winner before startdom was there. 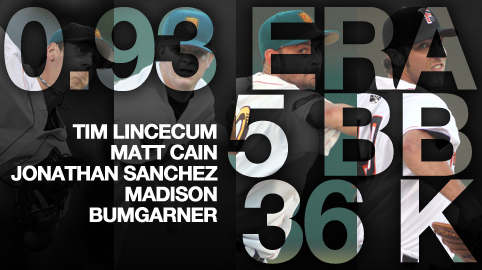 In fact, Lincecum’s last start with Fresno (at Chukchansi Park nonetheless) was a record-setting performance. The right-hander struck out 14 in six innings, setting the Grizzlies franchise record for most strikeouts in a single game. What’s more impressive about Lincecum’s final start in Triple-A is that he didn’t walk any of the 21 batters he faced. Everybody knew on that April 29th day back in 2007 Lincecum was destined for bigger things in his career. Lincecum is also one of the 17 of the 25 Giants on the 2012 World Series roster that have played for the Grizzlies in their careers. Of course, as everybody has heard, Lincecum ditched the long hair for a more clean cut look. As seen in the photo above, he fared well with the shorter locks. Based on the logic of haircuts (which is probably more along the lines of illogic of haircuts), the 2013 season could be a bounce back year for Lincecum. When you are fortunate enough to work in baseball, you can, from time to time, forget the advantages your job affords you. In the offseason, when there are no games being played, you work a fairly standard 9-5 day, joining the rest of the population on the morning and evening commutes. But if you are lucky enough to have your offices built into the ballpark, and built into as beautiful a ballpark as we have here in Downtown Fresno, there is a constant reminder, right outside the window. This week, that which all Grizzlies fans already know about our baseball home was revealed to a nationwide audience. Baseball America, the preeminent publication in our sport, chose Chukchansi Park to grace the cover of its 2012 Great Parks Calendar, which will hang in offices and homes from Spokane to Jupiter, from Portland (not Oregon anymore, just Maine) to Orem. It is a special honor for a city like Fresno, one that is not always associated with aesthetic beauty by those who do not live here. In order to get a feel for the weight of such an honor, I caught up with a couple of people who know Downtown Fresno as well as anyone. Craig Scharton was born and raised in Fresno, and has moved his life Downtown, first living in the Security Bank building before purchasing his current house. This is only fitting, as he spends his days in the city offices as the Director of Downtown and Community Revitalization. There are few people in our town more committed to the success of Downtown than Scharton, who currently has a 20-game package for The CRU Club, and whose family has owned some form of ticket plan since the team’s move to its Downtown home in 2002. Sometimes it takes an outsider’s view to make us aware again of what a great facility we have here. Another one of Downtown’s biggest champions, Travis Sheridan, relayed such a perspective. Scharton also recalled his experiences hearing from those who live outside of Fresno about how Chukchansi Park compares in the national landscape. 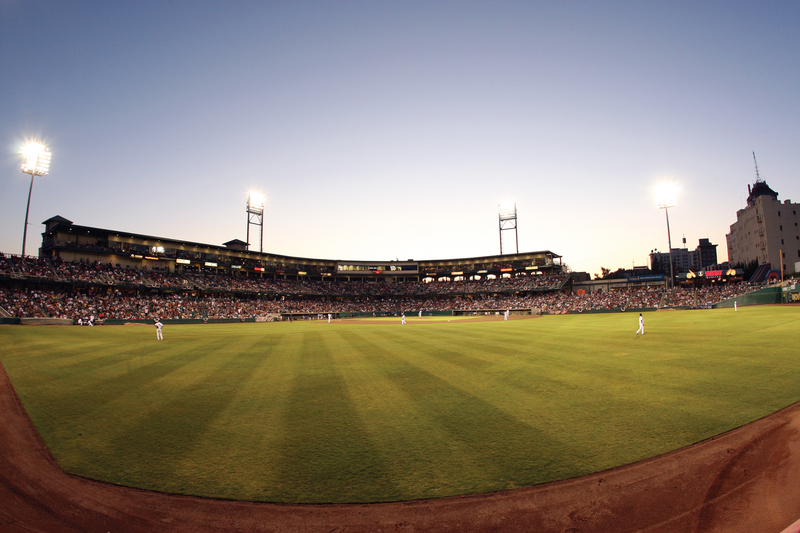 “We consistently hear from players and visitors that it’s the nicest ballpark in Triple-A” Scharton commented. That’s saying a lot, considering that six other parks have been built since 2000 in the Pacific Coast League alone. The ballpark has also become the focal point of the Downtown entertainment experience. Sheridan was living in the Tower District when he first attended a game, back in 2004. Despite being a big baseball fan, he did not begin attending regularly until he became more involved in the future of Downtown four years ago as the Director of Marketing and Communications for the Central Valley Business Incubator. Sheridan moved Downtown a year ago and took a much bigger leap in his connection to the Grizzlies this season, when he became the on-field host for 67 of the team’s 72 home games. Adding to that experience, at least over the last couple of seasons, was the chance to see past or future World Champions playing right here in Fresno. Of course, college football lacks the fluid feeder system that the Grizzlies enjoy, thanks to the club’s strong affiliation with the Giants. After all, more than half of the 2010 World Series roster came up through Fresno at one point or another, intrinsically tying Grizzlies fans to last year’s world title. Scharton agreed with the importance of that connection, citing a recent example. In good times and bad for the baseball on the field, though, the ballpark remains. As it goes into its 11th year, Chukchansi Park looks as good as ever, as evidenced by its selection for the Great Parks Calendar cover. The people Scharton is referring to aren’t limited to just Fresnans, though. There are Giants fans all over the state, mostly north of the Central Valley, who travel great distances to see those in the farm system play. Scottsdale Stadium, the Spring Training home of the Giants, is somewhat similar to Chukchansi Park. 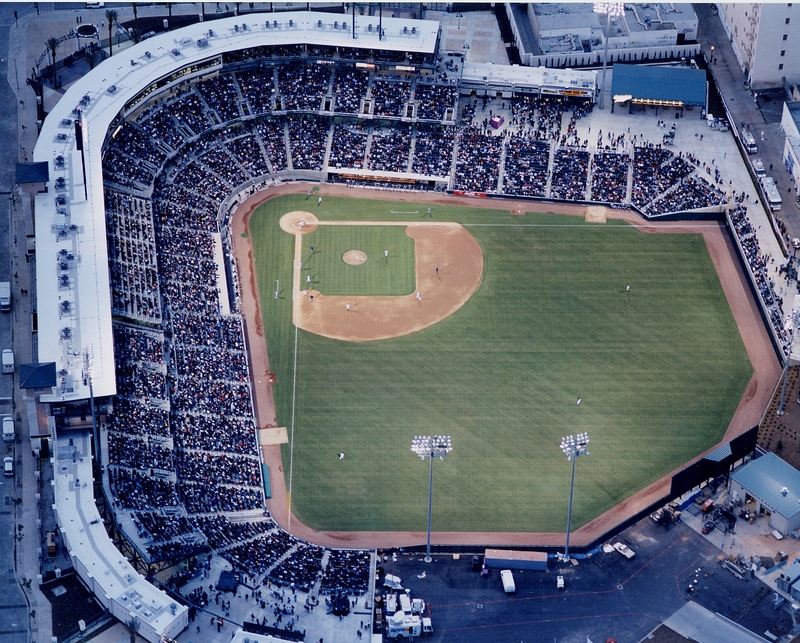 It holds roughly 12,000 people and was wholly renovated just a couple of years after Chukchansi Park was built. Both provide an opportunity for Giants fans to get out of San Francisco and watch the up-and-comers in the organization before they hit the Major League level. Sheridan agreed, for the most part, that Fresno could pull the same type of fan that makes the trek to Arizona each spring. It certainly won’t hurt to have some national recognition from the likes of Baseball America, either. For many natives of Fresno, it comes as quite a shock when they meet people who relocate to the Central Valley from preconceived “nicer” areas. Speaking from the perspective of a Bay Area boy, my response to many when they initially find out where it is I’m originally from is simple: “Fresno has its advantages”. As a young adult fresh out of high school, I was eager to take on the responsibilities and freedom that came with leaving the nest. Luckily for me, I was drawn to Fresno through opportunities of higher education. Little did I know that after just over six years in what I now consider home, there would be so many positives to outweigh any disadvantages. Growing up, baseball was always top of mind. At first thought, moving three hours east to the Valley was only going to put distance between myself and the sport and teams I lived for growing up. With more consideration, the travel was actually going to be more of a baseball blessing than a letdown. Like most people in Fresno I was ecstatic at the thought of being able to watch young talented ballplayers before they advanced to the Majors, but took for granted how fortunate I really was. To this day I kick myself for not catching every game in April of 2007. After seeing the career that young Tim Lincecum has put together thus far from the comfort of my unenthusiastic living room, I can only imagine what Chukchansi Park was like as the dominant right hander mowed down opposing hitters in the PCL. Following the first of back-to-back Cy Young Awards for Big Time Timmy Jim in 2008, I was certain I wouldn’t let another opportunity like that come through Fresno without being a part of it. Even though the circumstances were dramatically in my favor, I made sure I soaked up every bit of the Giants’ most recent highly anticipated prospects to come through Fresno. 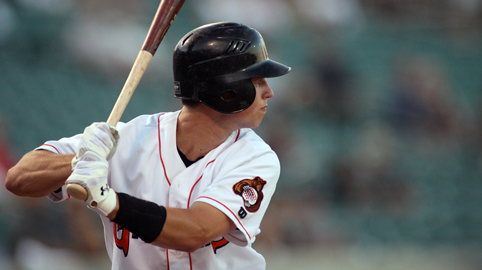 With Buster Posey breaking into Triple-A midway through the 2009 season, and starting the 2010 season with Madison Bumgarner, we were showered with the gift of future standouts in our own backyard. What some people don’t realize is hat there are always other chances to see future household names, even before they show signs of stardom. A prime example from my experience in Downtown Fresno is the rise of Brian Wilson. After seeing Wilson grind through three seasons with the Grizzlies, he suddenly compiled a record-setting number of saves in San Francisco in the same amount of time he spent in Fresno. While he was just another arm in the bullpen for the Grizzlies from ’05-’07, now he’s captured the attention of millions who “Fear the Beard“. Although it’s been recognized by some, there are still way too many Fresnans who are unaware of just how much connection the Central Valley had to the 2010 World Series. Not only did the Giants fill a 25-man roster with 15 players who wore a Grizzlies jersey at some point in there career, they were led to a Championship title by a majority of former Fresno Grizzlies. There still may be several folks who will ask the clueless, “Wait, Matt Cain played in Fresno?” or “Buster Posey was here for two months this season?” questions. However, it would be my guess that the San Francisco Giants’ remarkable run to a World Championship, which sparked an incredible support from communities throughout Northern California, will be many peoples’ equivalent to the Tim Lincecum experience I had just a few short seasons ago. Whether a fan of baseball, an admirer of professional athletes, or just someone who wants to be a part of something special, the lesson here is simply not to let the future Giants like Brandon Belt, Darren Ford and Zack Wheeler breeze through Fresno without the chance to watch them play. Staying informed and involved will enhance the big league experiences you’ll encounter down the road.